Quality construction throughout this custom 1 1/2 story Cape Code style home. 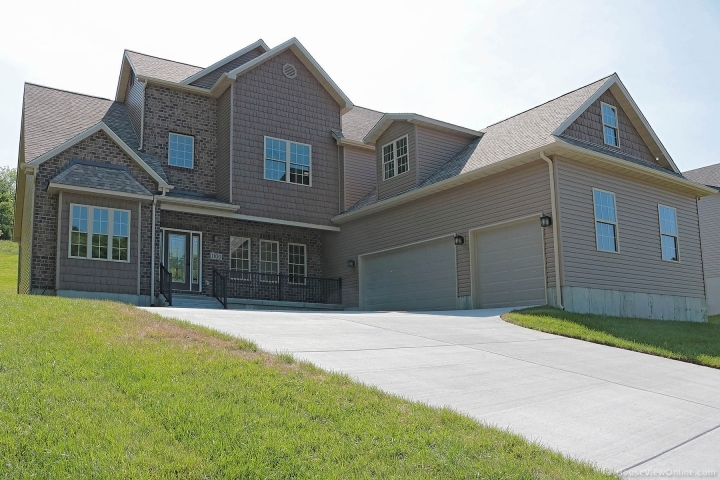 Located on a corner lot in the sought after community, The Vineyards of Bushberg. Excellent location near Oak Valley golf course & resort. Imagine golfing, a water park, swimming pool & fishing just minutes from your house. 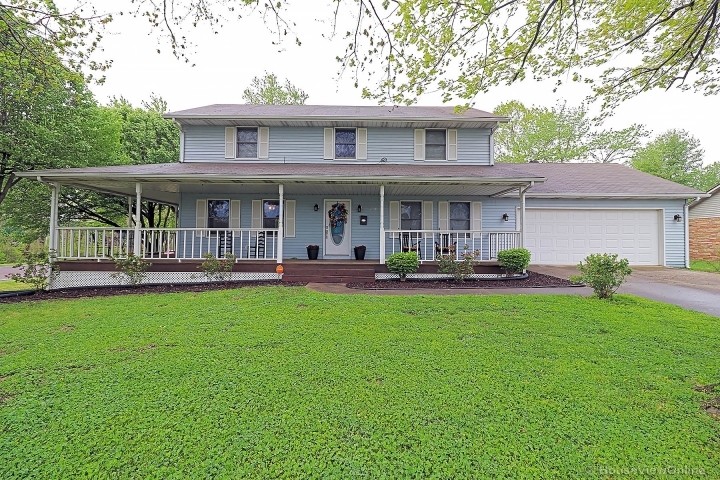 This home features 4 bedrooms, 3 full baths, 3 car garage & main floor laundry. The focal point of the home is the 2 story wall of windows in the great room with gas fireplace & hardwood flooring. Gourmet kitchen with white cabinets, pantry, granite counter tops, high end appliances & adjoining breakfast room. Separate dining room. The main floor master suite hosts, coffered ceiling along with luxury master bath including double bowl vanity, spa-like shower & walk in closet. Added bonus is the 2nd bedroom located on main floor with an on-suite full bath & walk in closet. The upper level offers a spacious bonus room, 2 bedrooms, both with walk in closets & full bath. BRAND NEW!